The golden rule “treat others the way you want to be treated” is well-intentioned, but cannot stand alone as a guiding principle for expressing love. On the surface, it is good: be kind to others if you want to receive kindness. Love and be loved. But when we get into specifics, the golden rule can fall a little short. You want to show your friends, family, and future spouse that you love them on your wedding day, but they don’t necessarily view expressions of love the same way you do. You shouldn’t get someone a present just because you like to get presents. You shouldn’t give someone a hug or make a toast to them simply because you would like those things. Maybe this seems obvious to you. There are many different types of people, so we shouldn’t express our love the same way for every person in our lives. Gary Chapman says that there are 5 love languagesTM, or ways through which people feel loved and give love. Invite the members of your bridal party to take the love languages quiz and share their results with you. Pay special attention to the ways that your parents and siblings feel loved and tailor tokens of appreciation to the kind(s) of love that they recognize. For you: Encourage people to give speeches at the reception. Talk to people beforehand so that they know to have something prepared. Have a videographer collect words from your guests. Remember to have a book or something for people to sign. We’ve seen everything from a framed print from the couple’s engagement shoot to traditional notecards to a pair of skis! For your fiancé(e): Write your own vows (have them framed) and read them off of a piece of paper, not your phone. For your guests: Give speeches at your ceremony and rehearsal dinner where you welcome and thank people for coming. Thank your bridal party and vendors for their hard work. Mention specific people by name, especially those that you recognize have words of affirmation as their love language. This is your Oscar speech: people will be honored to be mentioned. Everyone is there to see you, so even if you’re nervous about public speaking, know that these people all love you and that this is your moment. Words of Affirmation is my love language, so I have lots of ideas about how you can connect with people in your life who respond to this love language! 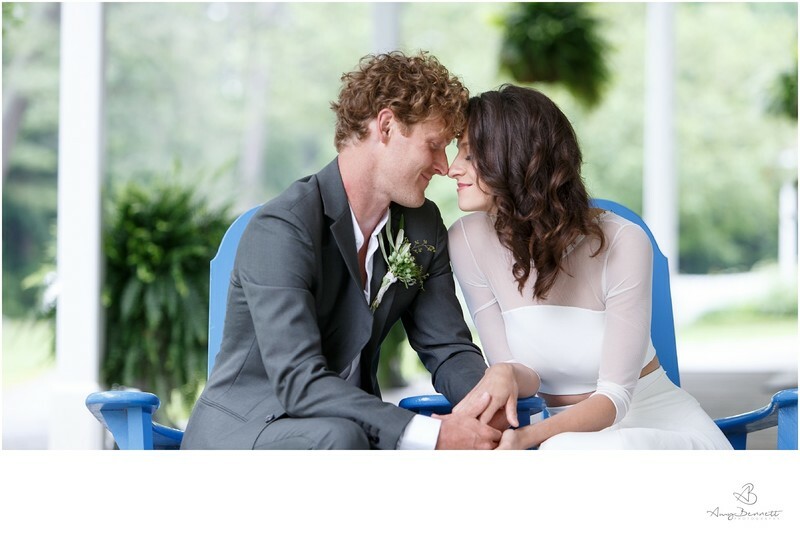 On Your Wedding Day: If one of your loved ones appreciates hearing compliments or how special they are to you, take the time to write them a note that they can read on your wedding day. We’ve seen these notes take all different forms: cards, embroidered handkerchiefs, etc. If they are a member of your wedding party, this is a good time to thank them for a specific task (wedding planning, decorating, keeping you calm, bridal shower, etc.) that they handled well. 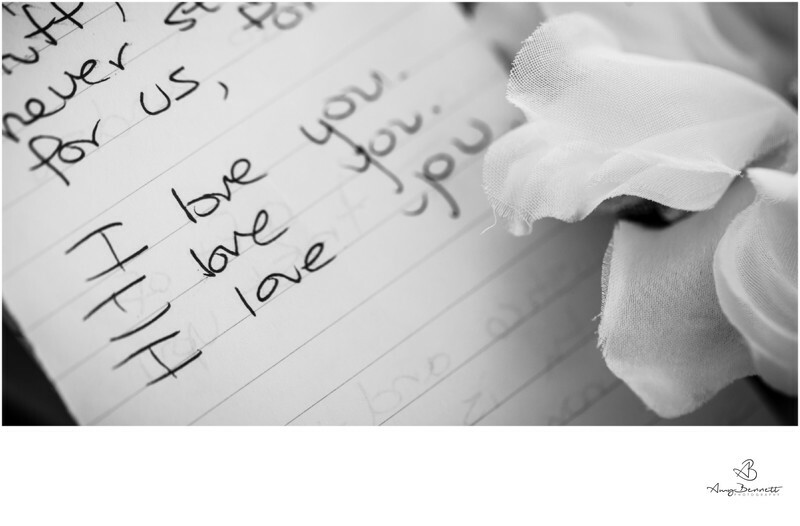 If you know ahead of time that you want to express love to someone in this way, you can start making a list of things that you appreciate about them and then pick and choose from that list in a letter or speech. For you: Quality time at a wedding is difficult to come by because the day goes by so fast. It’s important to understand how many people you can handle coming to your wedding especially if you want to have quality time with each person. Consider having a Vermont wedding weekend so that quality time can happen before, during, and after the wedding day. Consider getting married on a Friday so that you can party afterwards (and get discounts and have your pick of vendors)! For your fiancé(e): If you’re marrying someone whose primary love language is quality time, you should seriously consider a first look. This way, you don’t have to wait until the ceremony begins to see them and they have time on the wedding day where they don’t have to share you with anyone else. For a family member or close friend: Invite them to the getting ready room and/or save a special dance at the reception just for them. They will appreciate the chance to spend more time with you one-on-one at your wedding. On Your Wedding Day: A person whose primary love language is quality time just wants to be around you on your wedding day. They want to feel like they are important enough to talk to you one-on-one or be a part of an activity with you. Carve out special time for people if you can or add cushion time into your schedule so that you don’t have to interrupt this person while they’re talking to you about how beautiful everything is. Eye contact is huge for quality time lovers. Even if you don’t have too much time to spend alone with this person, glance at them whenever you can. It will mean the world to them. For you: The gifts that you receive on your wedding day will be important to you, so make sure you get what you want. Hook yourself up with a great registry. Zola is popular, as is gifting a honeymoon. Don’t be afraid to ask for things; you never know what people might want to spring for! For your fiancé(e): Ask them what they want and pay attention to what they need. What have they had their eye on? The utility of this gift could be limited to the wedding day or you could get them something that makes their daily life easier or more fun. For your guests: Customize and personalize your wedding favors. Make them a reflection of you and your spouse (where you met, the wedding venue, your favorite things) but consider how useful these things will be for your guests and try to avoid giving them throwaway favors. 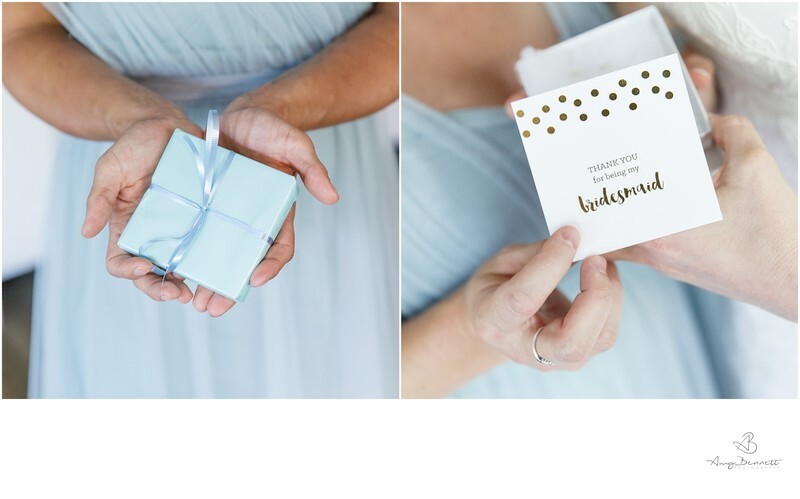 For your bridal party: It’s customary to get gifts for your bridal party (usually everyone gets matching jewelry or cufflinks) but think about how to personalize these gifts so that your people feel loved and appreciated. A framed photograph of the two of you or an inside joke might mean a lot more than just giving them the same thing as everyone else. On your Wedding Day: If you’re not good at gift giving, ask people who you know are good gift givers. You don’t have to give them something they can use that day if you know they’ll use it later (like an experience). Do research about your friends: look at their Pinterest, take notes when they mention things that they like or want. A person whose primary love language is receiving gifts will cherish whatever you give them on your wedding day, so make it count. Pick gifts that last and are useful. Always include a card and, if it’s not obvious, explain why you chose the gift that you did. Don’t be afraid to take moments with people to give gifts! Quote: Acts of service “require [some combination of] thought, planning, time, effort, and energy. If done with a positive spirit, they are expressions of love.” For a person whose primary love language is acts of service, actions speak louder than words. For you: Be a master delegator. Give your loved ones tasks to complete before the wedding and on the actual day so that you can focus on other things and feel secure in their love for you. It’s important to recognize who in your bridal party can handle important tasks. Some people are flaky and unreliable--not because they don’t love you, but because they are not people who express love through acts of service. For your fiancé(e): If you know what they’re stressed out about concerning the big day, try and take that stressor away from them. Clean up their hotel room the morning of. Clean the wedding rings so your photographer can get the coveted ring shot! For your guests: After your wedding, you will have more time (the time that you had previously spent planning and getting ready) that you can use to volunteer and give back. Think about doing this with or on behalf of someone whom you know appreciates acts of service. It’s also important to recognize the acts of service that people have done for you in order to make your wedding day special and thank them. They have done these things to demonstrate their love for you and taking the time to recognize that will make them feel loved and appreciated. On Your Wedding Day: For some people, the best way they know how to give love is to do acts of service. If you know that your mom or bridesmaid is like this, give them specific tasks to do. Consider what tasks you would rather not do and be vocal about it. You will feel more loved when they do these tasks instead of taking charge of things you want to do. If you feel like all of the wedding details are taken care of, think of higher level things for them to do. Have them help you figure out everyone’s love languages! For you and your spouse: After your ceremony, hold hands with your new spouse while you talk to people. Be physically together so that you feel more mentally together. The reverse works too: Look at each other and feel the connection and the physical touches will come naturally. If you’re afraid it won’t happen naturally, there’s nothing wrong with practicing touching each other more before the wedding! People are expecting you to kiss and touch on your wedding day, so get the awkwardness out of the way first. For your guests: Maybe you’re not much of a hugger, but if you have loved ones who are, your wedding day is an important time to try and get past your hugging reservations. Trust me, it will make the day so meaningful for these people and they will walk away from it feeling fulfilled. On Your Wedding Day: Whether it is your primary love language or not, it’s important to recognize the value of touching at your wedding. Physical touches showcase your connection and makes for amazing photography. 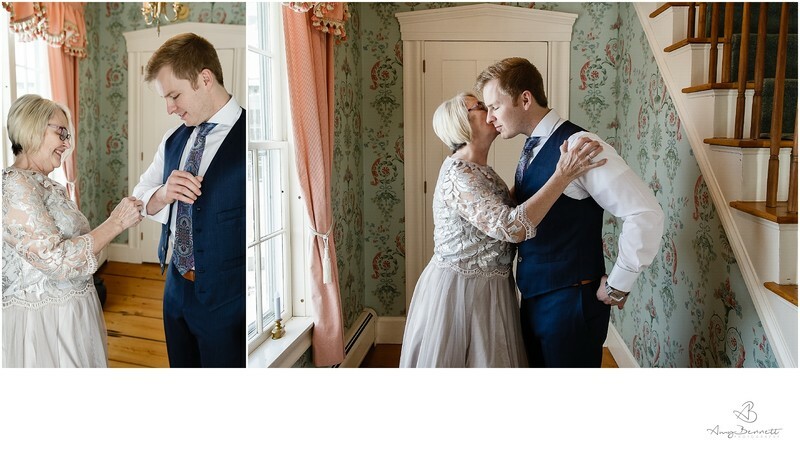 Don’t take stiff family or bridal party portraits where no one’s arms are around each other; you won’t like the photos and they won’t like taking them. Slowing down and taking time for moments, being in the moment is good for all of these love languages. Don’t rush through physicality of any kind: for you, your partner, your guests, and your photography. Check out The Five Love Languages on Amazon or Audible.